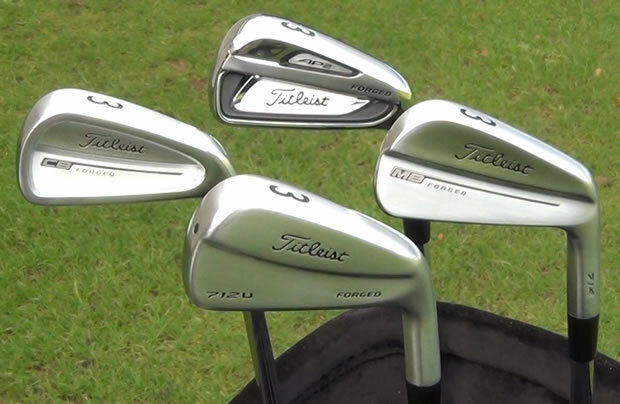 I would like to start this review by saying that the Titleist 712U hybrid iron club is not for me. However, this does not mean that I don't like it. Far from it. The hollow iron construction of the steel head is ideal for a driving iron and I really like this style of club for the longer irons. It comes in a 2 (18°), 3 (21°) and 4 (24°) iron so it blends into most better player iron sets very easily. The ball speed from the high strength 455 stainless steel face is faster than the similar Titleist 714 CB iron and the wider sole makes it more forgiving and launches the ball higher so it stops quicker. 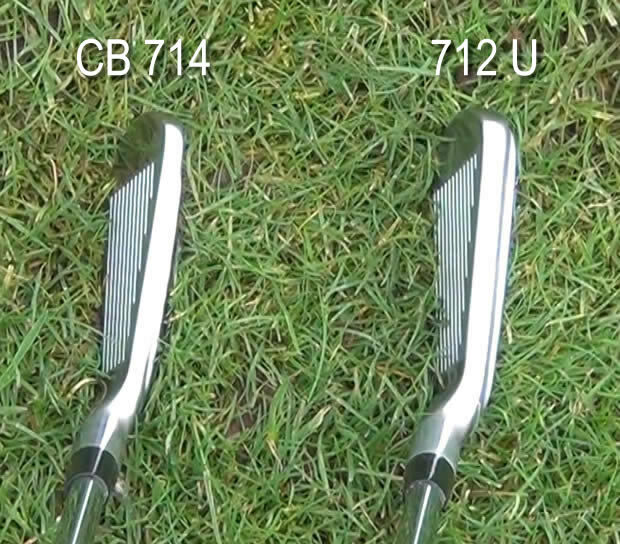 The 712U is very similar in looks to the CB in terms of face size, head length and playability. The depth of the head and the position of the muscle line on the cavity are the only visual differences. The feel is a bit softer than a blade club yet you still get a lovely rich forged sound when you hit it, which I really liked. But it is still not the club for me. The Titleist 712U is a custom order only club and with good reason, as I found out when I went to the Titleist National Fitting Centre. Once I had the correct shaft for me I then put the 712U 3-iron model up against the the 3-irons of the other current Titleist models, namely the AP2 714, the CB 714 and MB 714 and the results from the Trackman were pretty much as expected. As you can see below, the AP2 was the best performing club as the larger, faster face generated more ball speed to carry the ball 2.4 yards or 1.3% further. Next was the 712U followed closely by the CB and then the less forgiving MB a few yards further back. So there you have it. The AP2 3-iron performed better with more forgiveness, so that is the one for me. Look at the numbers again and you will see that the landing angle of both the 712U and AP2 3-iron is around 34 degrees, whereas the AP2 4-iron and the Titleist 913H 19° hybrid had a much steeper landing angle of around 39 degrees. This means that they will both be easier to control as they will stop quicker when they are hit on to the green and not run through the back. In addition, I already have the yardage range of the 712U and AP2 3-irons of 175-178 yards covered by the 19°-20.5° adjustable hybrid or by closing the face to create a draw with the 4-iron to get another 5 yards. That is why the 712U is not for me, because whilst it does the job perfectly well, it does not fit into my set by distance or landing angle and this is reason why you need to be custom fitted for the 712U to find this out. So who is the 712U aimed at? Titleist say that it is aimed at high ball speed players and, whilst I am no slouch, they really mean elite amateurs and tour professionals who have the extra ball speed to create the spin to get the 712U to launch high and stop quickly on the green. However, there is one exception to this and that is low amateurs who want a driving iron to get the ball in the fairway. The lower flight and shallower landing angle are perfect for a running tee shot that gets you into position on a firm course or a windy day. That will make it a fairly one-dimensional club, but if you have space in your bag make up, then the Titleist 712U will be everything you need for this job. Therefore, the best thing to do is go along to a fitting session and your local Titleist centre and see if the Titleist 712U hybrid iron is right for you. The 712U was developed with help from Adam Scott, Tim Clark and Geoff Ogilivy.